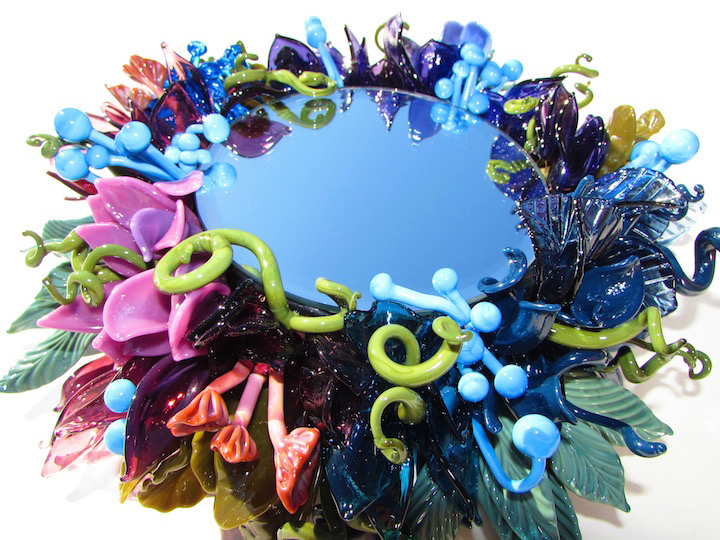 Mirror Mirror [Mirror Mirror] : FlameTree Glass, Inc. 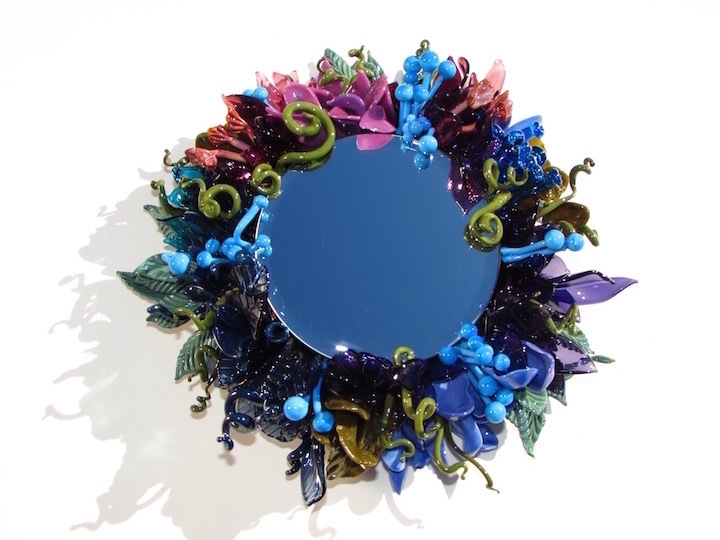 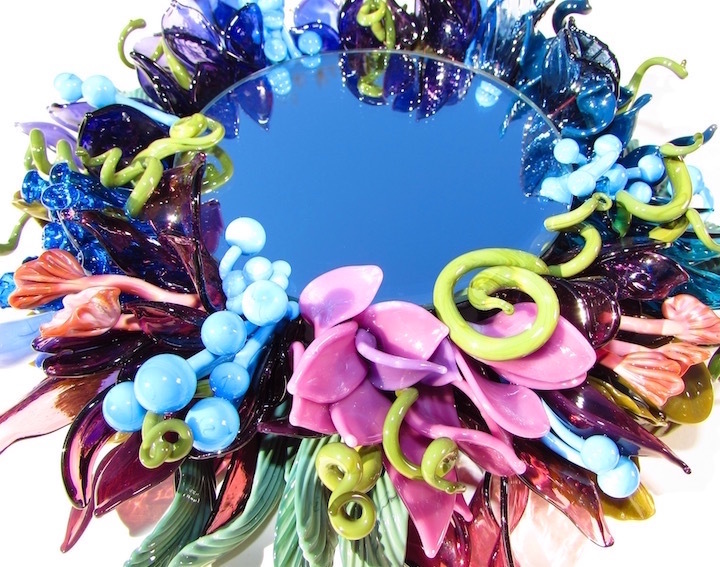 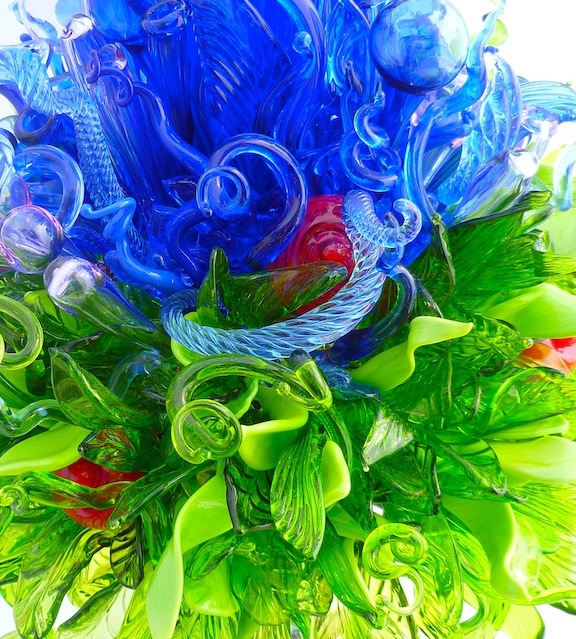 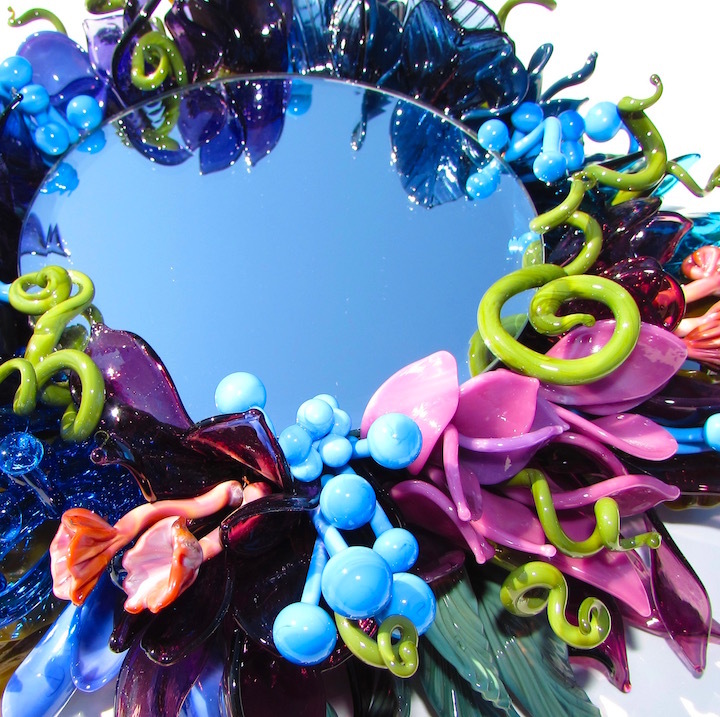 This intricate art piece has multitudinous glass blossoms surrounding a circular mirror. 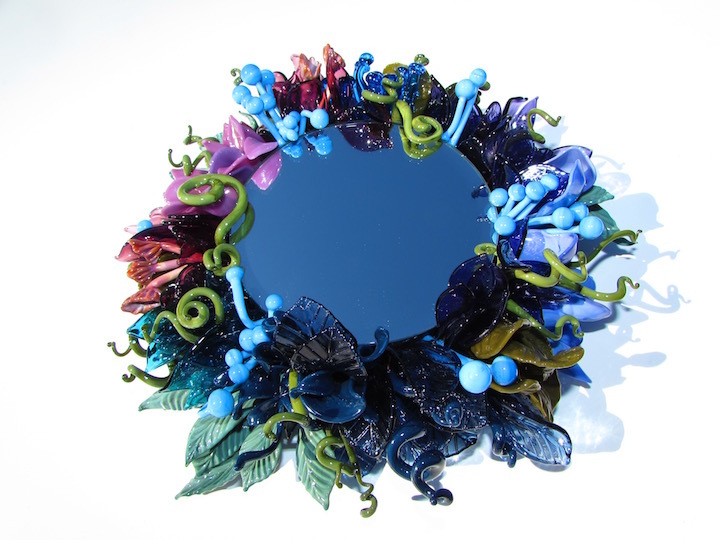 Deep olive green vines tangle around dark blue stems of trailing plants, while violet creeping petals twist around a garden of foliage. 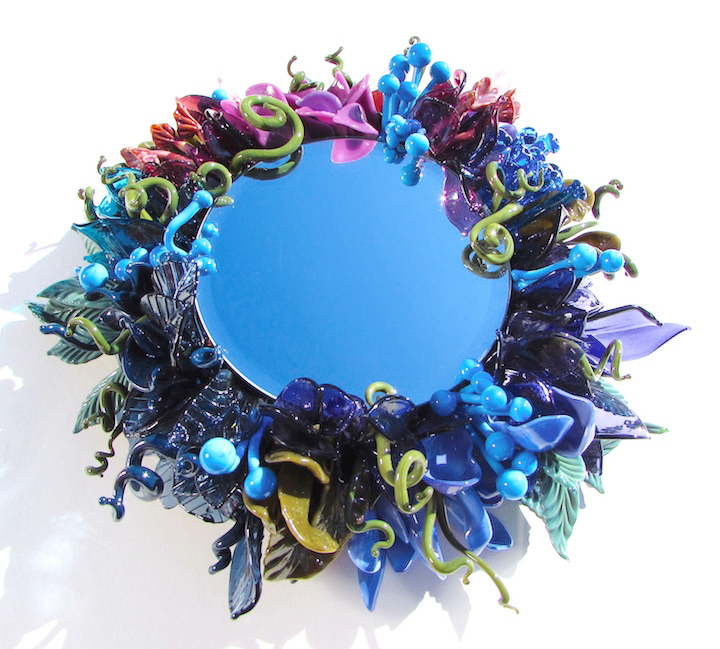 This art piece mirror can be hung on a wall or used as a centerpiece on any table. 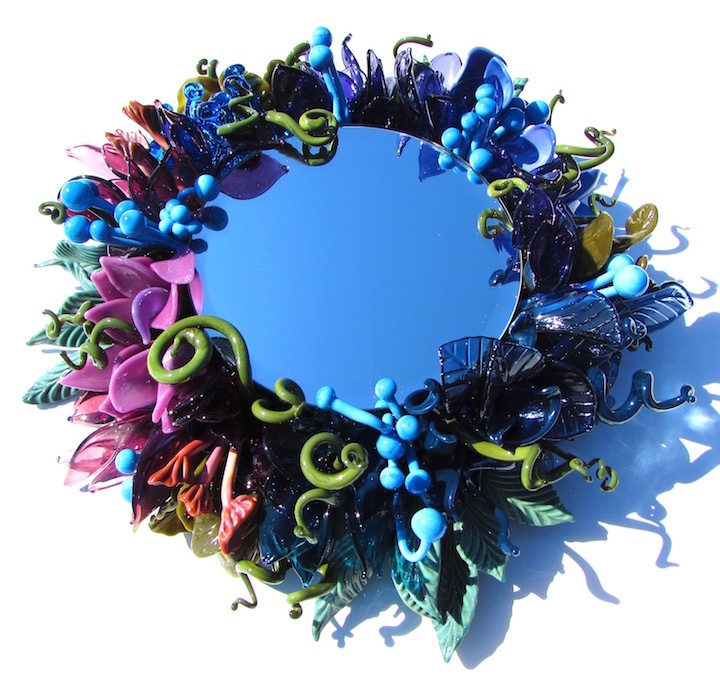 Mirror is 4.75" round while the vines are approximately 11" x 11" round at the widest points. 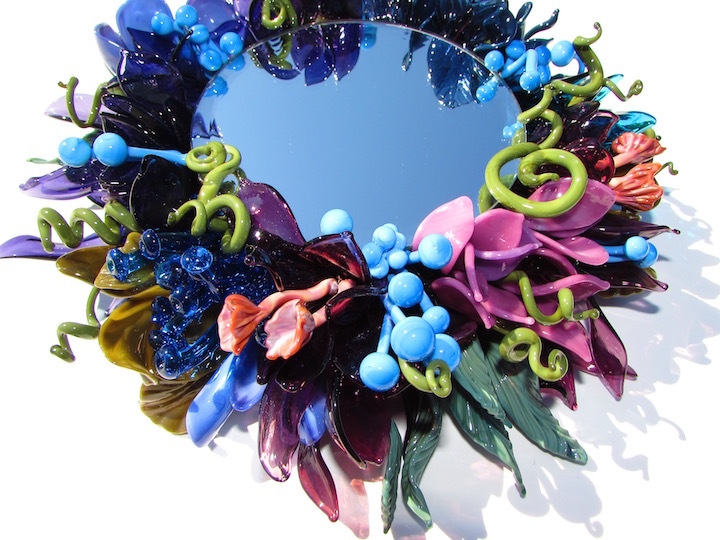 Each individual piece is handmade lampworked glass. 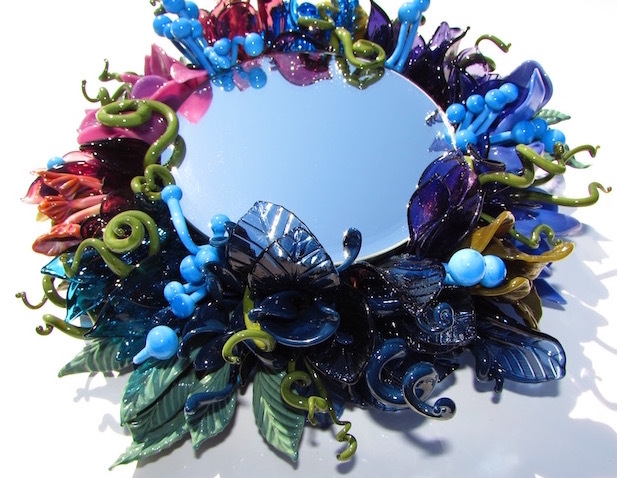 Made at FlameTree Glass by Maureen.